Q: After great success with arcade games for the great part of your career, why did the team you had been led in state-of-the-art development, venture on to create Shenmue for a home console? YS: Ah, well, Shenmue wasn’t made by my normal team. AM2 was a group of people that wanted to create arcade games, so I tried doing it as much as possible with outsiders - sort of like a band of hired soldiers - but at its peak there were as many as 300 people and managing them was a huge job... It wasn’t easy to achieve satisfactory quality, and there were even times when the action list exceeded 10,000 items with bugs included. Q: And in addition, it becomes difficult to properly communicate what you want to do... I can certainly picture how tough the situation was. But what was the reason that someone like you who had such great success with arcade games wanted to try going to the home console? YS: Making an arcade game is sort of like condensed milk. With resources that are limited, it's important to condense a single theme down further and further, to fit inside a 3-minute period. Conversely, if you have multiple themes, things get watered down. Then it won't earn a good income. But it's different with a console game. Once purchased, people will at least give it a go for 30 minutes, no matter how boring it is, right? YS: The world we came from was one where something boring would be rejected in 30 seconds, which made me envious. Just once I wanted to try my hand at something that didn't have a time limit. And so, with Shenmue, I chose an RPG - a game that people play over a long period, and is able to contain multiple themes buried within. If you think of what I had been creating up until then as a single dish of tuna, then this would allow me to create a full seafood course! At the time, arcade games were overwhelmingly superior in their expressive ability, but I thought that making an RPG on a console would allow for easier infusion of a message. Q: By the way, did you study other RPGs? YS: Of course, it’s not like I didn’t play any at all. But I can’t keep playing for very long. [Smiles wryly] Also, I wanted to make Shenmue a legitimate evolution, in my own way, of games like Wizardry and Ultima, which I had seen in the lab when I was at college. Q: Recently, I saw an interview with Shukan Shonen Magazine which talked about Dragon Quest. It stated that similar RPGs of the day had served as reference, and called it “a clever reconstitution of elements that had been carefully selected for their popularity with the Japanese”. YS: Yes. They nicely took out the tiresome and cumbersome parts and extracted only the really fun parts. 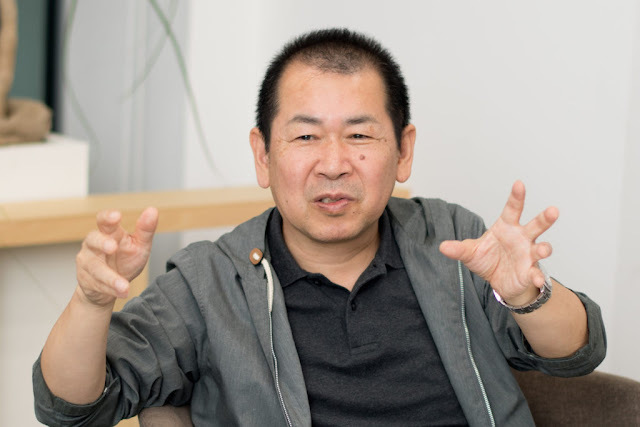 But for me, I felt that evolution along the lines of something like Shenmue, putting aside the question of whether it is open-world or not, might be possible. I don’t think there's ever been even a single year where I generated a loss for Sega. YS: In addition, I think that the resources and know-how gained from Shenmue’s development are being put to good use within Sega. KH: Yeah, everyone figures that’s probably the case for Yakuza. Q: And Nagoshi-san※ is an ex-AM2 member, isn’t he. ※ Toshihiro Nagoshi: a game developer born in 1965. He joined Sega in 1989, and worked as a CG designer for titles such as Virtua Racing and Virtua Fighter. After that he took on a producer role and turned out hits such as Daytona USA and the Yakuza series. 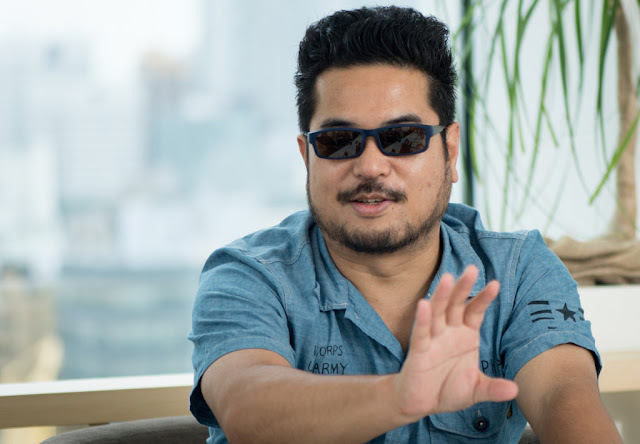 Currently he is Director and Head of Development at Sega Games' head office, concurrently with the post of Director/CCO and Head of Development Production at Sega Interactive's head office. KH: Shenmue was made from scratch, wasn’t it. Did that involve developing some kind of a game engine? YS: It was like building Unity or Unreal Engine. If it had been fully finished, then the development of later games at Sega would have been made dramatically easier. Still, we stopped partway through. KH: But you know, I’m learning a lot today. Q: Would that be to do with VR, by any chance? YS: Today I came along really wanting to hear Harada-san talk about Summer Lesson※. ※ Summer Lesson is a game created by the Tekken team lead by Katsuhiro Harada. It went on sale in 2016 as a launch title for the PS VR. In the game, which makes use of VR technology, you communicate with a female in front of you. You play the role of a home tutor teaching English to a female student who has poor grades. KH: Recently I’ve grown more and more aware that my own beginnings lie in the ride-on ("Taikan") games that Yu-san created. When Yu-san talked earlier about things like making a game where you can be the fastest with ordinary driving, that’s VR right there. Whenever reporters ask me what my formative experiences were for VR, I always tell them “Space Harrier and After Burner”. But more than that, I think that through VR development we developers of the next generation are finally starting to understand how Yu-san and his fellow developers must have felt starting from a point where nothing had previously existed. As I’ve talked about several times today, if Yu-san’s generation is the one who formed companies and gave rise to the games industry, then our generation is the one whose mission is to take the model that they created and expand it commercially. Q: I think you could also say that their's is a generation that brought about a maturing of the game industry. Your stories at the start have made me curious about the “generation gap“ of game developers. KH: For me, games were like a formative part of my childhood, you see. Lining up for a location test of Yu-san’s Out Run is something that’s up there for me with the other important memories from my childhood such as the day I got a pet, or the moment I took first place on sports day. Q: There’s a clear contrast between yourself and Yu-san, isn’t there. After all, you started employment almost 10 years after Yu-san, didn’t you. YS: But you became a developer, didn’t you. KH: After I started the sales job, I discovered that playing games for free wasn’t allowed at Namco! KH: Then I heard that in the development teams you could play all the games you wanted, which was a big motivator for me, I think. [laughs] After I won an award from the company’s president for record sales results, somewhat selfishly I asked to be moved to Development, where I became a game designer. But I couldn’t write programs, and about my only claim to a special skill was having somewhat of a liking for pictures. So I would stir up enthusiasm at user events, and most of all gathered feedback from customers. Then I converted the questionnaires to values and derived statistics from them. Without revealing that they came from user surveys, I would float them as my own ideas and tell people around me, “Please follow my suggestion because this idea’s a sure thing”. In this way I started to win people’s trust. Q: I have a feeling you would have fitted in well with the atmosphere of those days, communicating with users. KH: It was just around the time when the concept of making games based on the needs of users had entered the industry. A move toward thinking of the fan community had also been born, and gradually I become relied on more at the company. My background is really completely different from Yu-san's. Q: But one thing mentioned earlier that caught my attention a little is that back then only someone in a planning position was able to become a director, including at Sega. KH: I was also aware of it. That’s exactly how it was at Namco too. In my case, after moving to Development, I suddenly became a director in my second year at the company, telling the old-timers what to do. The Planning office was powerful. 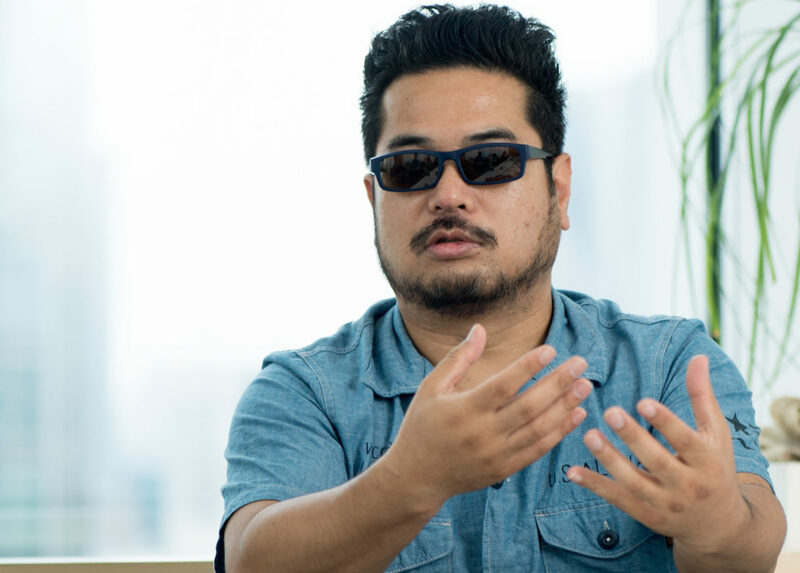 And so at the time of Virtua Fighter, I looked at people like Yu-san and think “Wow, Sega's a company where a programmer can be made a director”. YS: Well, I put in a lot of effort to show that engineers are able to serve as directors. After all, if what you’re making is interesting, then surely it doesn't matter who acts as director. KH: I fully agree. 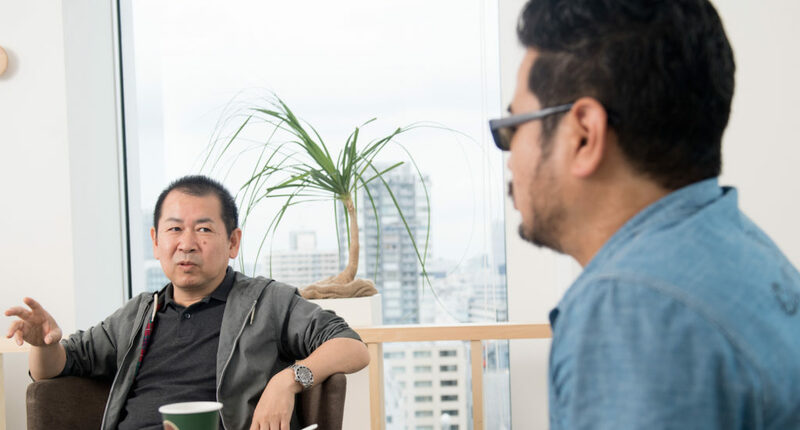 Eventually, although it took about 10 years after I joined the company, the concept of anyone being able to become a director became something taken for granted within the company. YS: But you know, despite my efforts back then, at first it was only changed to “only planners and programmers can be directors”. And so I called Nagoshi, who was working as a designer in AM2 at the time, and said “Show them that a designer can be a director too”. Q: The outcome of that led to Yakuza, didn’t it. After that, designers going on to become directors became an established path too. KH: Going back a bit, at first I looked at VR with that kind of “second generation” point of view. In other words, while I was expanding the Tekken IP, I thought I could further build up fondness for the characters through VR, which might lead to business opportunity. For example, it’s said that people’s fondness for a character will grow if you show a scene of them having a meal. This is something that the Studio Ghibli do skilfully in their anime, and so if we did that with VR just maybe it would work out... or so I thought. However, when I put on an Oculus Rift for the first time I thought “This is not going to work!” -- I wouldn’t be able to use the methods I had known. KH: I realized that the camera is 100% taken up with the player’s viewpoint. This had big implications. With my generation in particular, our development experience had been in 3D games, and so we had always been working with scenes that made use of a camera. Even with an FPS, although the camera is normally with the player, when it comes down to it you can still show the player something with a scene camera, or forcibly override the camera to show things. During production also, you create a storyboard with notes like “It will look cool if you throw light from here, like this”. However with VR the camera is put entirely under the control of the player. At that moment, the techniques the game industry had relied on for so long fell apart. And for the first time, our generation ran up against a creative wall. YS: Hehehe. But it must have been fun. KH: Yes, it really was. With a polygon-based game, in most cases I had been able to say knowledgeable things like “Yeah, if you want to implement that you’ll have to make it like this, because it will give this kind of effect”. But this was my first VR development project so I wasn’t able to say anything at all [laughs]. I began to question what my life had been about. So, we start making Summer Lesson, right. If it was a 3D game you would just show what you wanted with the camera, but with VR the user can crane their neck and peer around, so the feeling of being present at that location differs greatly compared to previous games. Until then, whenever we had built a "polygon room" we had never noticed anything wrong with it, but for some reason in the VR world the polygon room didn’t look anything like a room. We asked ourselves “Why?!? !” Then upon further investigation, we realized: it was because there were no fluorescent lights in the room! KH: Once we had properly fitted it with lights, suddenly the room became visible. Then we attached ducts to the air conditioner and plugged it in, and it looked even more room-like. But it still didn’t look like a girl’s room. When we put in a complaint to the designer, he retorted, “I’ve never seen a girl’s room, you idiots!” [laughs] So we got it made by a female designer, who used her own room as a reference, and added a whole lot of stuffed toys and so on - and that’s when it felt like a girl’s room. It was a phenomenon that hadn’t existed for my creation of games before. KH: However much we may normally appear to be looking at real scenery, in actual fact we cut down the volume of information for recognition; not deliberately - just subconsciously don't take it in. That came as quite a shock to me. KH: As well as that, I had a theory that if VR characters look you in the eye, it would enhance the sense of reality. But if you actually do just that, it kind of makes you feel annoyed. After all, it’s true that humans do make eye contact, but we don’t gaze unbreakingly like that. KH: Looking away occasionally is more natural. Representing things in a symbolic way just doesn’t cut it any more. Although in things like action games, characters don’t take their eyes off each other. Making a character give a symbolic “Yay!” when they’re happy is no good. We had to discover for ourselves that you only recognize that someone’s happy when their eyebrows and eyes become like this. It was tough accepting that we couldn’t rely solely on the techniques we had used to create symbolic games. And it’s the same with sound, for example. I thought I had an answer for pretty much everything to do with sound in games: “For the insert-coin sound, play this kind of recognizable sound”, or “Design it for a tune whose main melody kicks in within 15 seconds” and so on. But when someone asked me the best way to signal that you’ve entered a room with VR, I was at a loss for words. And so, after trial and error, a method that was discovered by our sound designer was to play sounds of the environment outside the room at an increased volume for the first 3 seconds, while the screen is still dark. While it wouldn’t sound that loud in reality, sounds like a railway crossing and the hustle and bustle of outside are played at a slightly louder volume. These kinds of things worried us daily as we created Summer Lesson. Then when I listened to Yu-san today, he had lots of stories about precisely the same kind of groping process of discovery as we had! Q: Your story is just like when Yu-san was trying his hand at 3D for the first time with Virtua Racing and scolded a staff member, telling him to “go outside and take a proper look”, isn’t it. KH: Yes. Back then scouting for a game location might have been seen as eccentric behavior, but nowadays it's something that goes without saying as part of the background research for games above a certain scale. Q: That’s so much like the Virtua Fighter anecdote where the developers didn’t know anything about martial arts at first, so Yu-san sent them to kung fu training. KH: My generation can find out as much as we like about users’ needs by carrying out surveys, and we can reverse engineer any number of already-released games. But embarrassingly for the first time after reaching my forties I had come across a situation where studying other games doesn’t help. I never imagined that at my age there would be so many times when I’d be stuck for a reply when my colleagues in their 20s and 30s asked me for advice. I felt that my development knowledge up until then no longer applied - what was I going to do! YS: Implementing something that’s “normal” is the most difficult thing to do. That’s what you found, right? 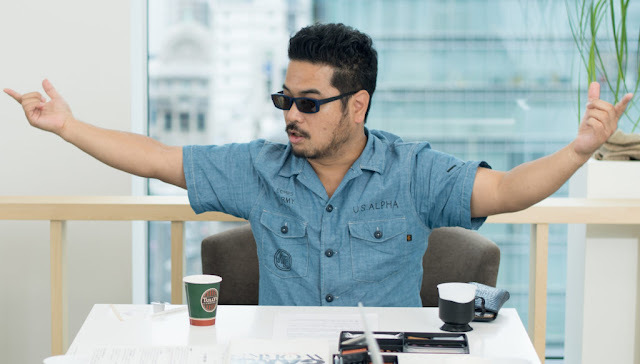 Q: After hearing Harada-san’s inside stories on VR development, those words from Yu-san, which have popped out from his mouth several times today, resonate remarkably. 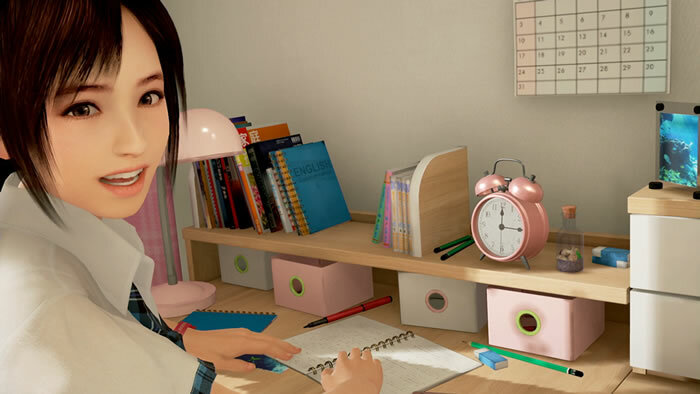 KH: But sadly, no-one admires the room in Summer Lesson. [laughs] And that’s because it feels like “a normal room, without anything odd about it”. KH: In contrast, if we had left out something critical for it to be recognized as a room, and something had felt odd about the scene, that would have attracted criticism. No matter how well you make it, at best it will be “natural and normal”; something that’s not readily rewarded. YS: But you know, if you can make something “normal”, you can overlay something else onto it. It’s only because “normal” has been achieved that good ideas emerge. KH: Yes, that’s really true. Thanks for leaving your feedback on the article, glad you are enjoying it. Stay tuned for the remaining parts! 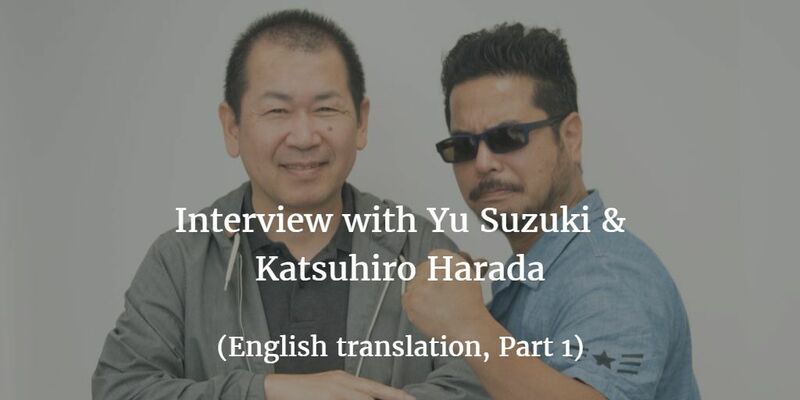 I'm glad to hear Yu Suzuki express a couple of points strongly, yet still in his very gracious way - first, that he didn't cause Sega to lose money. 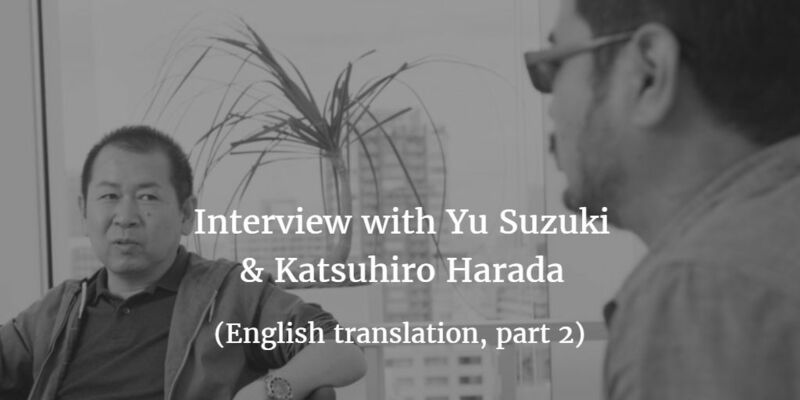 And secondly (with a bit of elucidation by the interviewer) that the Yakuza series has benefited from the precedent established by Shenmue. Yes, Yu left Sega a great legacy and deserves the record to be set straight. These facts need to be known much more widely. Really excellent, fun, and informative interview so far. Thanks so much for sharing! Yu Suzuki is a genius who has contributed incredibly to the videogame industry. I'm glad he is into some new projects (mainly Shenmue 3).